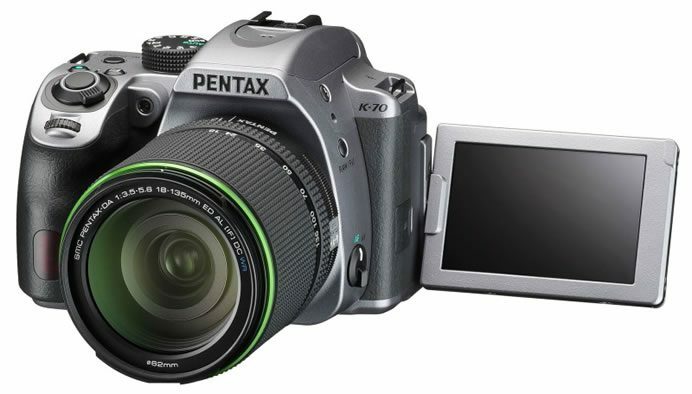 Rico today announced the launch of the Pentax K-70 digital SLR camera. The Pentax K-70 is designed to be an all-weather camera, thanks to its outstanding dustproof, weather-resistant construction and dependable cold-proof performance down to temperatures as low as -10°C. 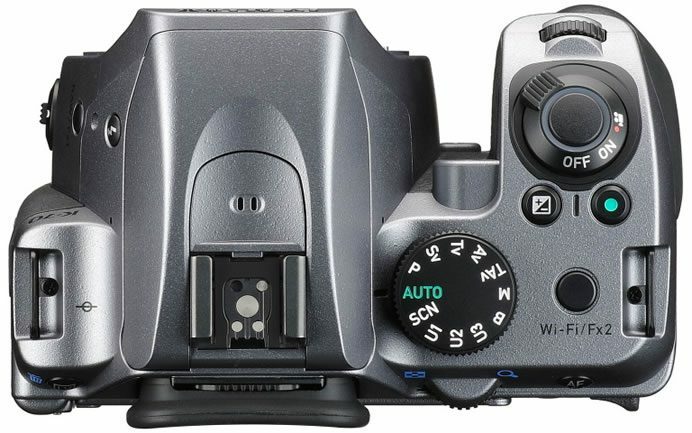 The camera features the high-precision SAFOX X AF sensor module, which assures responsive, dependable autofocus operation. With its 11 sensors including nine cross-type sensors in the middle, this AF module assures pinpoint focus on the subject at a minimum brightness level as low as -3 EV. 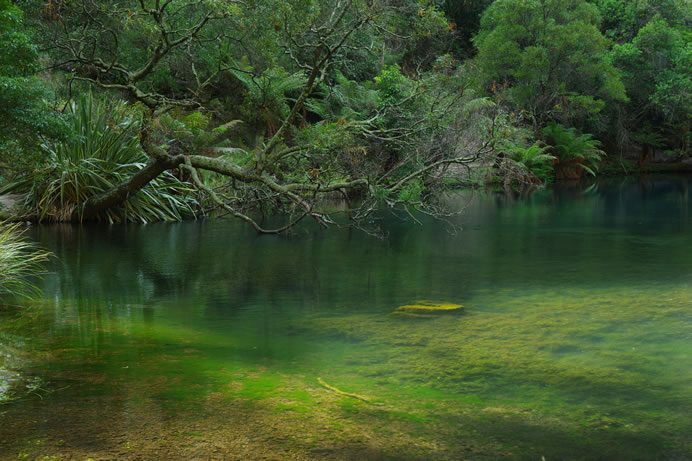 The Pentax K-70 effectively minimizes camera shake and delivers sharp, blur-free images, even in camera-shake-prone conditions such as when using a telephoto lens, shooting low-light scenes with incident light only, or photographing sunset scenes. 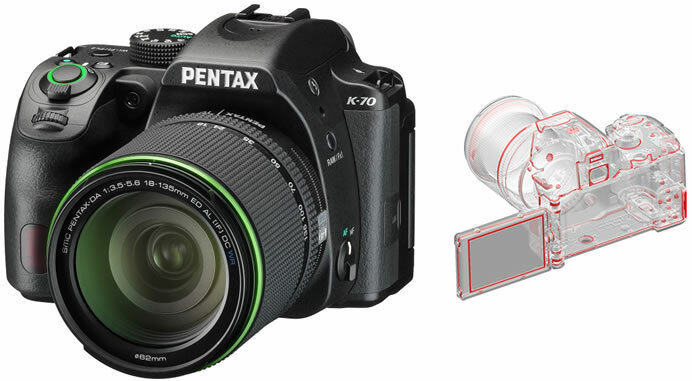 The Pentax K-70 incorporates a newly developed accelerator unit, which performs high-level noise processing in collaboration with the PRIME MII imaging engine and allows super-high-sensitivity photography at a top sensitivity of ISO 102400. 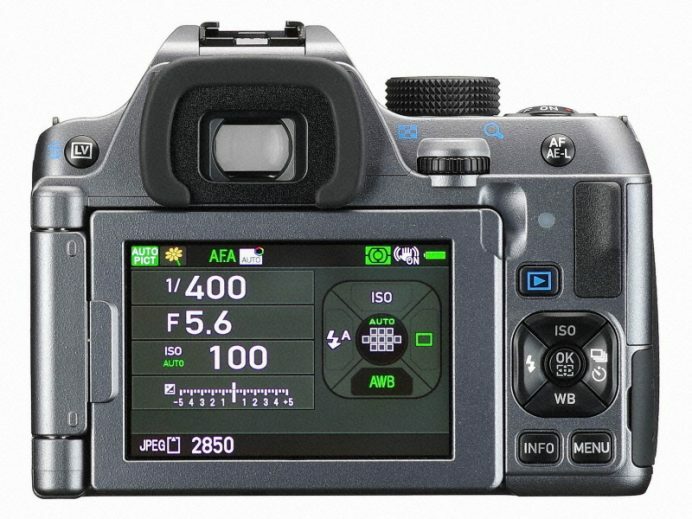 It also features a new Hybrid AF system, which harmonizes the advantages of both the image-plane phase-matching AF system and the contrast detection AF system, in order to assure the maximum speed and accuracy of AF operations during Live View shooting. 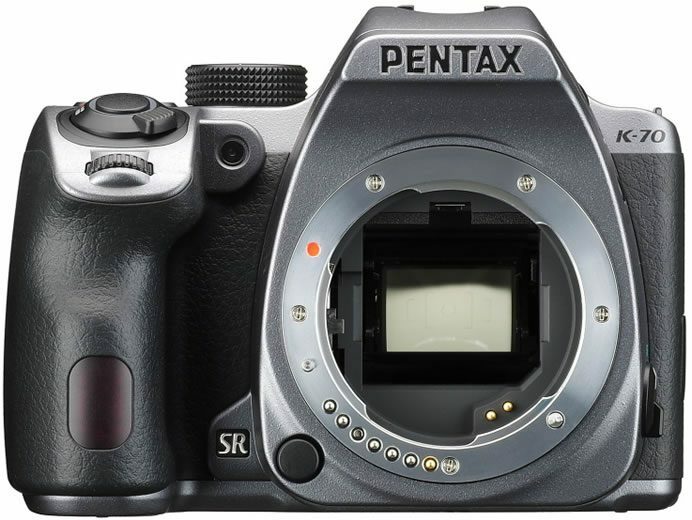 The camera provides a range of advanced, upper-class-equivalent features, including the Pentax-developed Pixel Shift Resolution System; an innovative AA (anti-aliasing) filter simulator with the same moiré reduction effect as an optical AA filter; an optical viewfinder with nearly 100 percent field of view; and an in-body shake reduction mechanism with a shake reduction effect equivalent to approximately 4.5 shutter steps. For remote shooting operation and easy transfer of captured images to smartphones and tablet computers, it also features a built-in wireless LAN (Wi-Fi) module.